The Supreme Court struck down a Texas law that limited access to abortions on Thursday, handing abortion-rights advocates a major victory. While the decision directly affects only Texas, dozens of other states that have enacted similar laws will likely feel the effects. 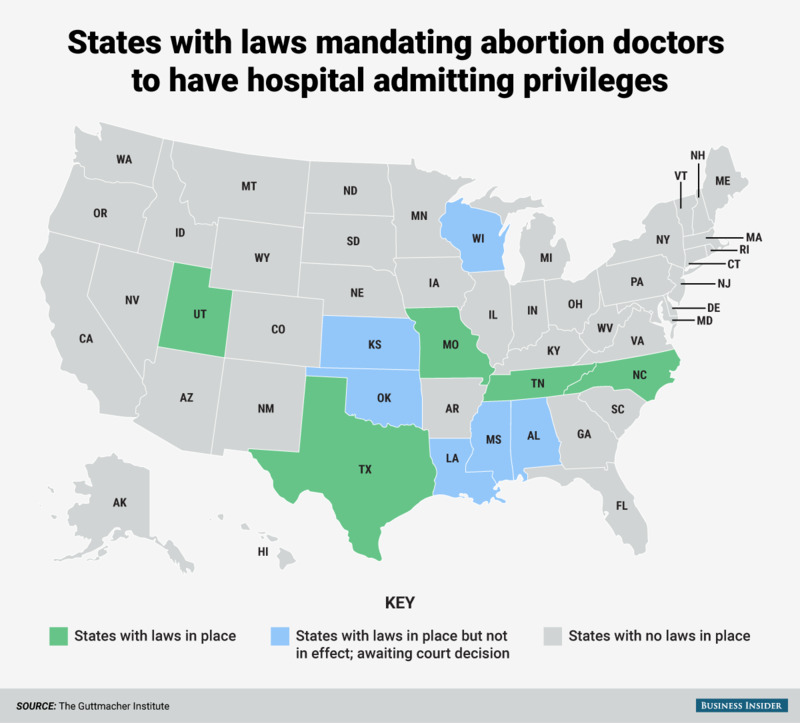 The case, Whole Woman’s Health v. Hellerstedt, found that the law — which purported to make abortions safer — placed an “undue burden” on women seeking an abortion. According to the Supreme Court’s 1992 ruling in Planned Parenthood v. Casey, laws designed to limit abortion cannot pose a “serious obstacle” to women seeking the procedure. 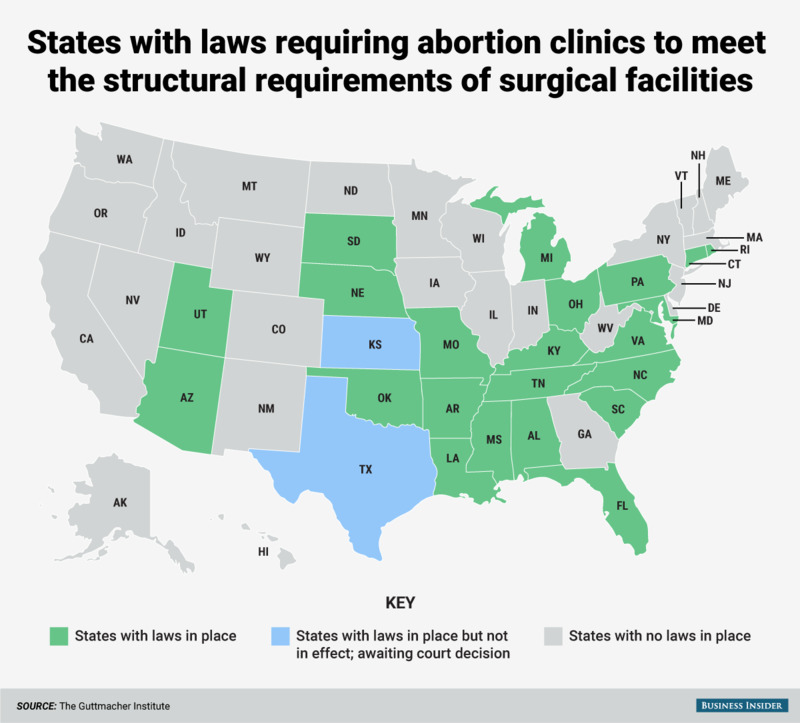 The law in question, House Bill 2 or HB2, required abortion clinics to meet the structural standards of “ambulatory surgical centres” or low-risk surgery facilities. 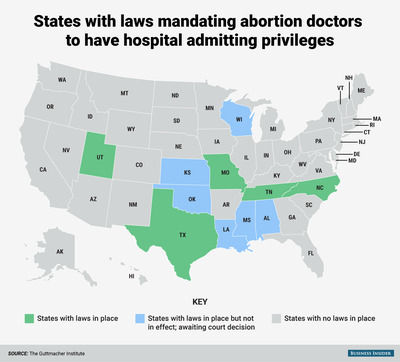 It also mandated that abortion doctors have admitting privileges with a hospital no more than 30 miles from the clinic. The high court decided that the restrictions introduced by HB2 did, in fact, constitute an undue burden. The law had already prompted the closing of 20 Texas clinics and would have caused at least 10 more to close if upheld — leaving some rural women hundreds of miles away from a clinic. Even now, dozens of states have laws with restrictions like HB2’s, according to the Guttmacher Institute. In its decision, the Supreme Court argued that women seeking abortions experienced no viable improvements to their health and safety under the new laws. 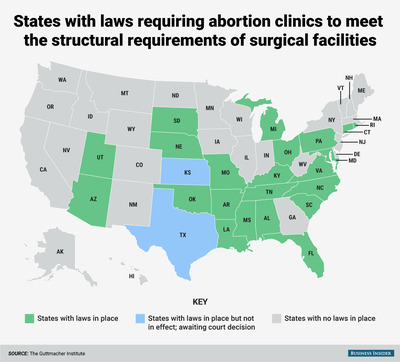 Now, other states will have to work a lot harder to show that their restrictions actually do protect the health and safety of women. But the battle is far from over. NeJaime explained two main categories of laws limit access to abortions — ones that aim to protect the safety of the woman and those that aim to protect the life of the foetus. Thursday’s ruling only applies to the first type, which leaves lots of room to pass laws that limit abortions in other ways. In the meantime, however, abortion will become more easily accessible for thousands of women. The decision comes as the debate over abortion is as fierce as ever — it’s a major issue in the 2016 presidential election, and positions have ranged from Hillary Clinton’s vow to protect abortion rights to Donald Trump’s suggestion that women who have abortions should be criminally prosecuted. And following the release of several undercover videos by an anti-abortion group last year, Republicans in Congress have been pushing to defund Planned Parenthood, the nation’s largest abortion provider.